Shannon will be plying their trade in the All Ireland League Division 1B after Saturday’s 34-19 loss to Cork Con saw them finish bottom of 1A. Tom Hayes’ men needed a win to have any hope of avoiding the drop or a relegation playoff. Despite a strong start to the game, Shannon were well beaten by a Con side that finish top of Division 1A at the end of the regular season. Kelvin Brown’s try put Shannon ahead on 10 minutes and Fionn McGibney’s conversion put them 7-0 to the good. Kelvin Brown scores Shannon’s opening try against Cork Con. Photo: Sporting Limerick. Shannon missed a couple of chances to add to their lead and were punished later in the half when Con scored three tries in the space of eight minutes. Barry Galvin, Brian Hayes and James Murphy all crossed for Con to help them to a 17-7 half time advantage. Shannon got back into the contest 14 minutes into the second half through Eathon Moloney but efforts from Greg Higgins, Galvin again and a penalty try saw Con head towards victory. Eathon Moloney touches down for Shannon’s second try. Photo: Sporting Limerick. Jamie McGarry did touch down for a consolation try for Shannon late on but they were well beaten on the day. Elsewhere, Young Munster remain in 1A for another year despite losing 22-15 loss to Terenure. Luke Fitzgerald helped Munsters into an early lead but ‘Nure scored two converted tries to lead 14-5 at the break. Luke Fitzgerald in action against Shannon last week. He scored for Young Munster in their defeat to Terenure. Photo: Sporting Limerick. A penalty try and a penalty from the kicking tee by Shane Airey got Munsters back into the game but ‘Nure held on for the victory. Young Munster finish the season in seventh position. 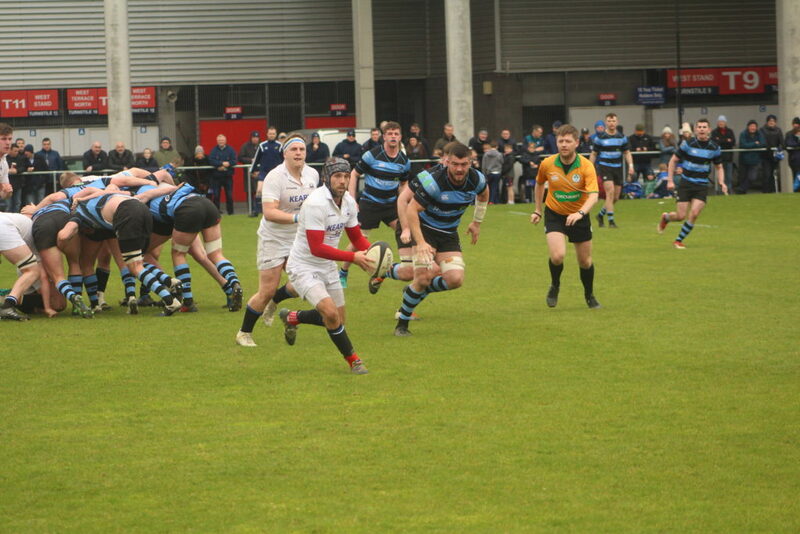 It was also a final day defeat for Garryowen aster they fell to a 39-22 loss to Dublin University at College Park. 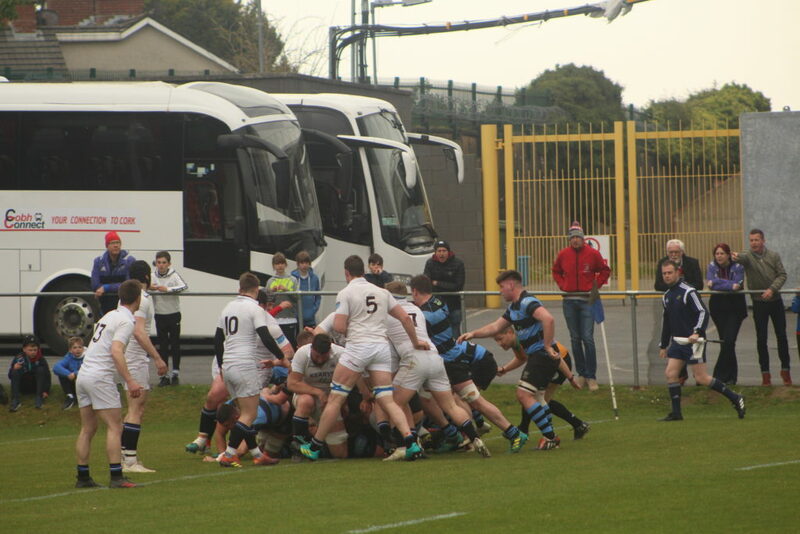 Garryowen led 22-19 at the end of the first half thanks to Darren Ryan, Cian O’Shea and and Andy Keating tries but Trinity fought back in the second half to earn the victory. 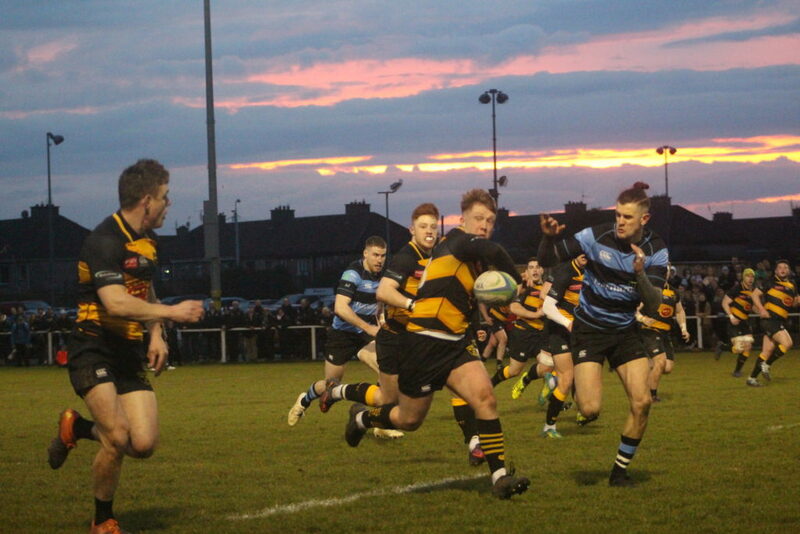 Garryowen miss out on the playoffs and finish the season in fifth position in the table. Duncan Williams was in fine form for Cork Con in their 34-19 win over Shannon. Photo: Sporting Limerick. 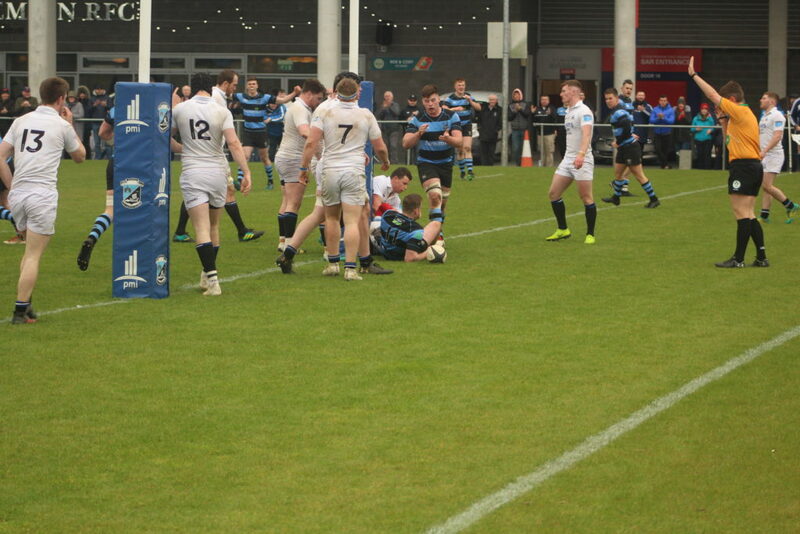 In Division 2A, UL Bohs fell to a 41-0 loss to Highfield, while Old Crescent were also beaten by Queens University 43-31. They both finish mid table. In Division 2C, Bruff have made the end of season playoffs following a 26-8 win over Midleton at Kilballyowen Park. They finish third in the table. However, it was to be relegation from the All-Ireland League for Thomond despite their 26-22 win against Seapoint. They needed a bonus point win to have any realistic hope of avoiding the drop.